Apple picking…caramel candy apples…fresh apple cider…is there anything that gets you more in the mood for fall than all things apples? Ok, maybe a Pumpkin Spice Latte, but that’s only because Starbucks has a better marketing team than apples do! Capitalize on the excitement of the fall with apple activities for preschoolers that engage the senses and inspire learning. I bet you’ll be just as excited to set these up as the kids will be to do them. There are so many ways to use an apple theme to inspire fun and learning. 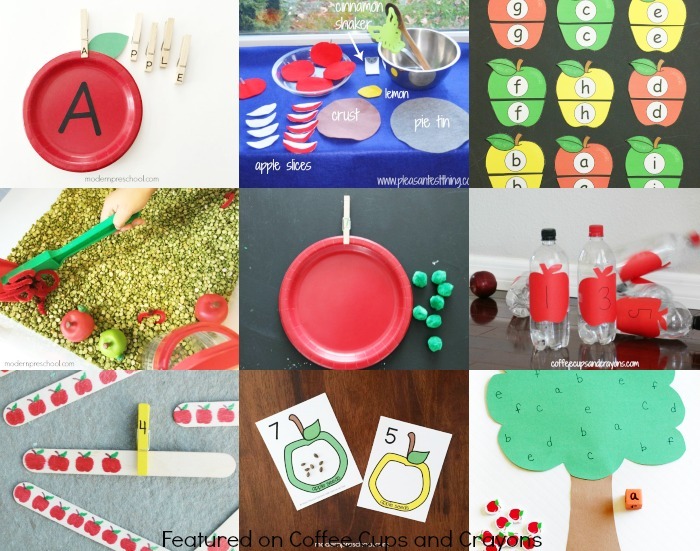 Here are some of our very favorite apple crafts, science experiments, games and learning activities. Use this list to plan a month of fun for your preschooler or preschool class and save the rest for throughout the year! 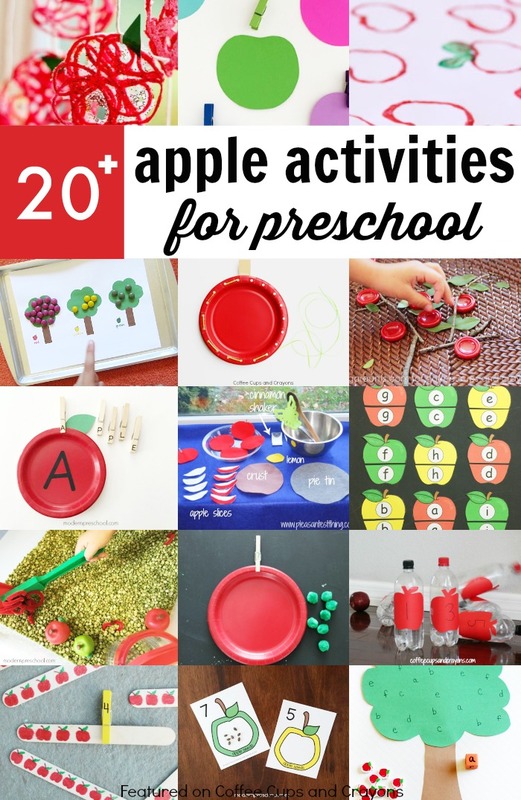 Who knew there were so many ways to play and learn with apples? Yay for tons of apple-y fun! Can’t get enough of fall themed fun and want to “pumpkin all the things” too? 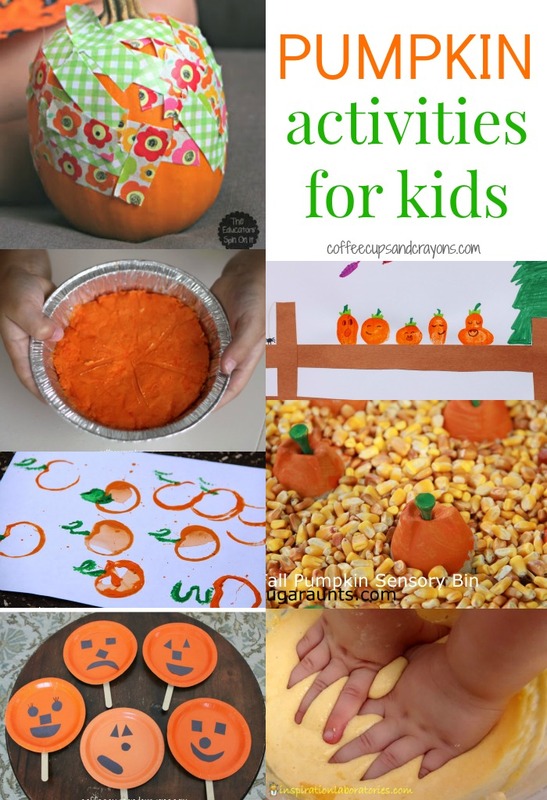 Then you’ll love this list of 20+ Pumpkin Activities for Kids! Such a fun way to experience the fall season!